50m motor yacht Northern Sun is a long-range displacement expedition vessel, previously known as the Japanese ice-class marine research vessel Hokko Maru, launched in 1976 by the Japanese shipyard Narasaki Shipbuilding. 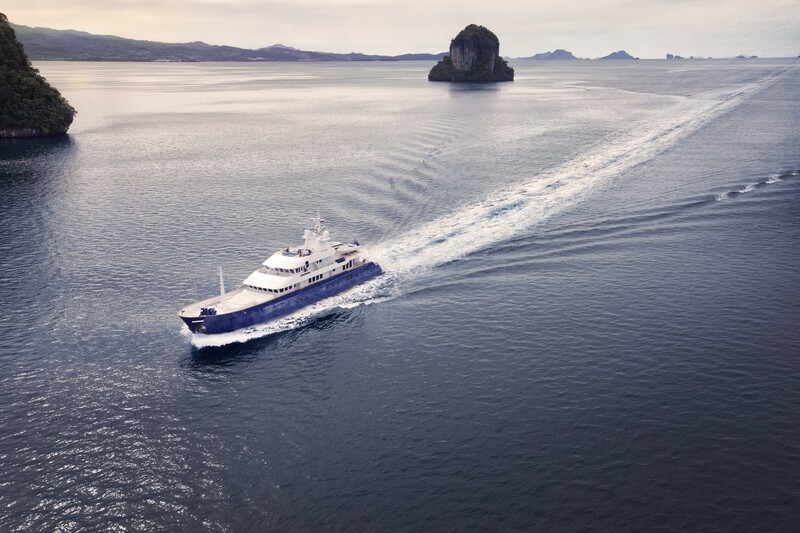 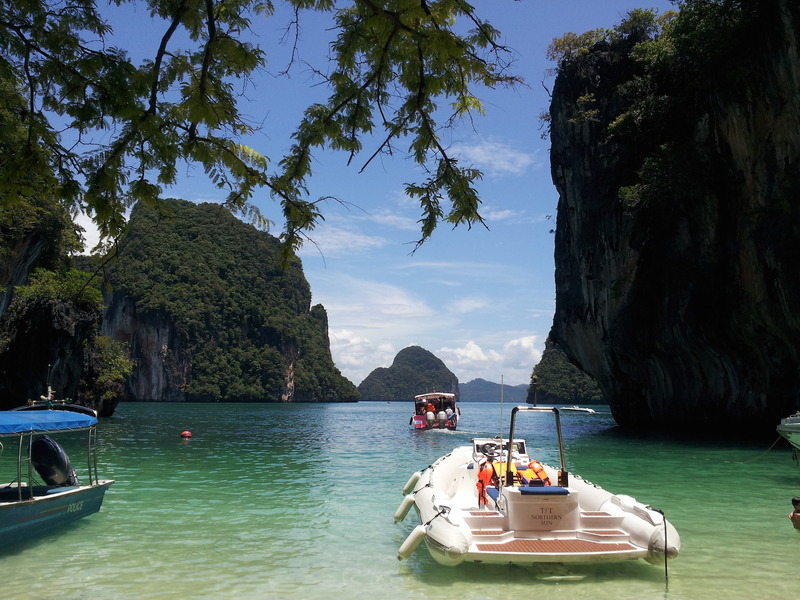 From 2005 to 2008, the Northern Sun superyacht underwent a complete conversion in the Philippines, Singapore as well as Thailand and is available for luxury yacht charters in Southeast Asia. 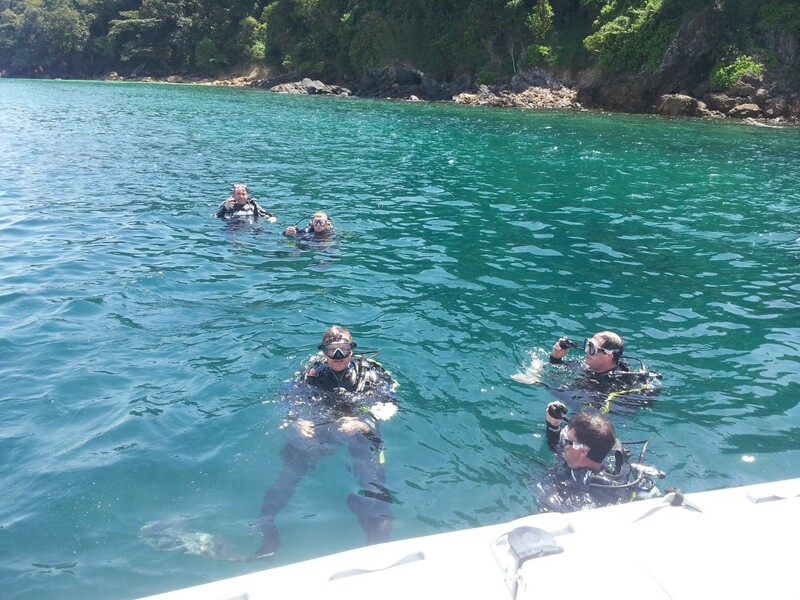 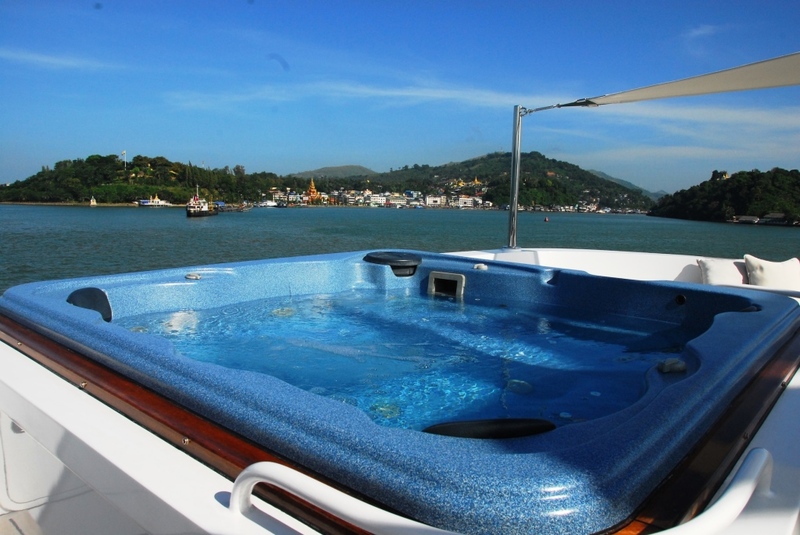 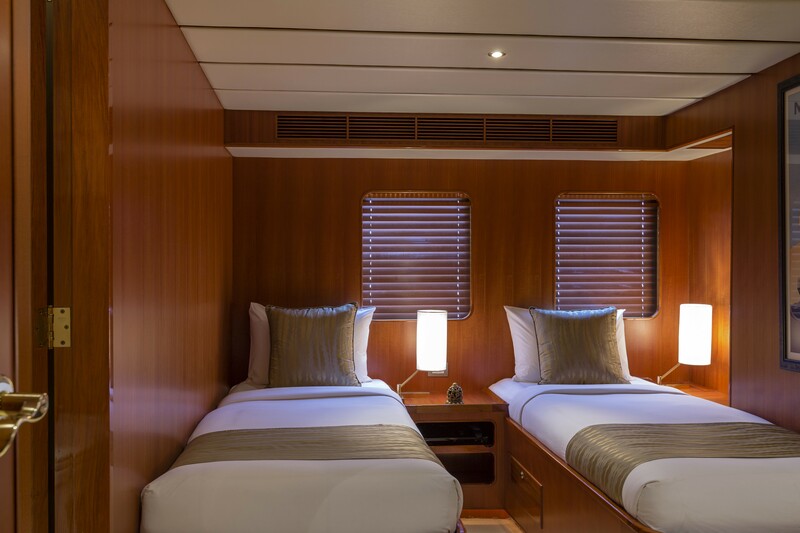 Narasaki luxury yacht Northern Sun is able to comfortably sleep 12 guests, looked after by a friendly and professional crew of 11. 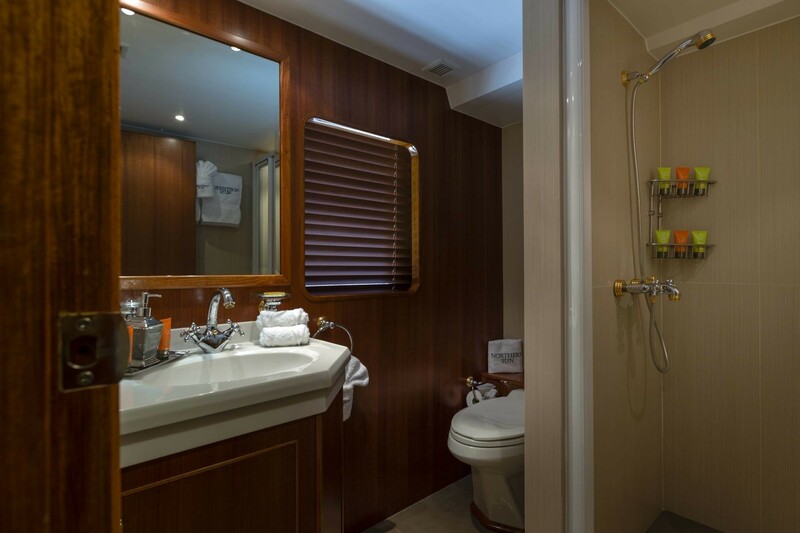 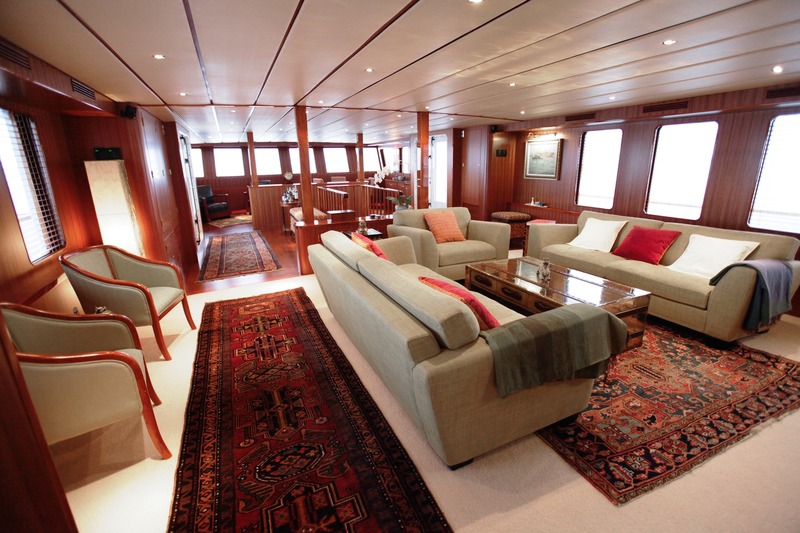 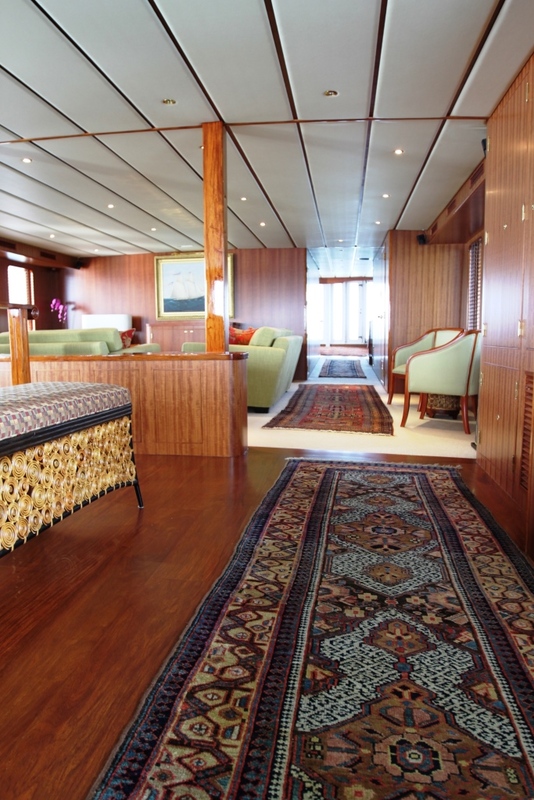 Luxury motor yacht NORTHERN SUN has a warm welcoming interior, featuring sumptuous woods, hand-woven rugs throughout and contemporary bespoke soft furnishings. 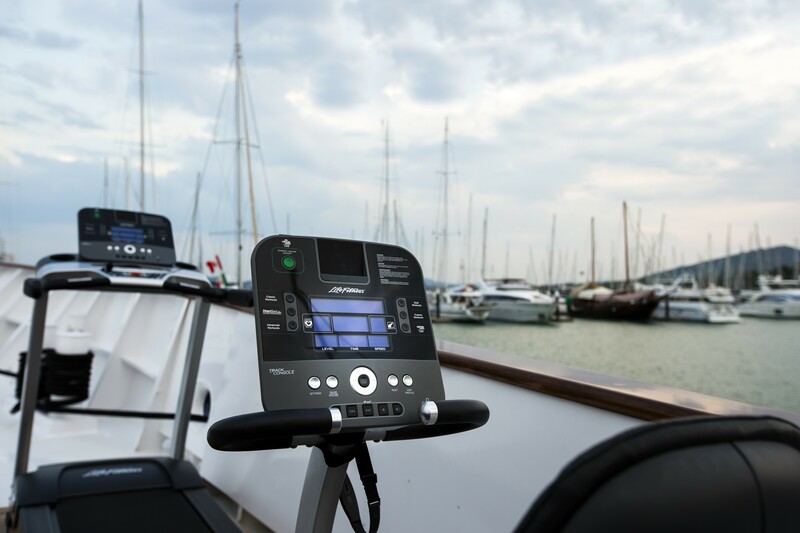 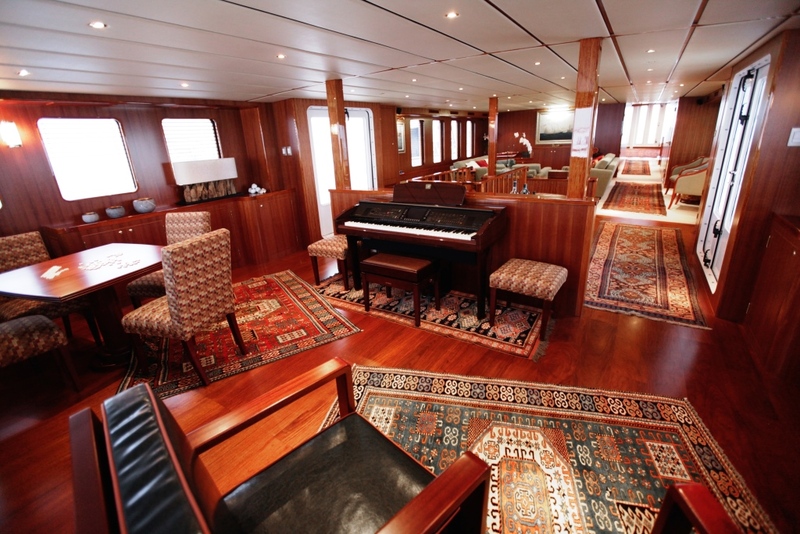 The salon is on the main deck surrounded by panoramic windows, allowing for stunning views and ample natural light. 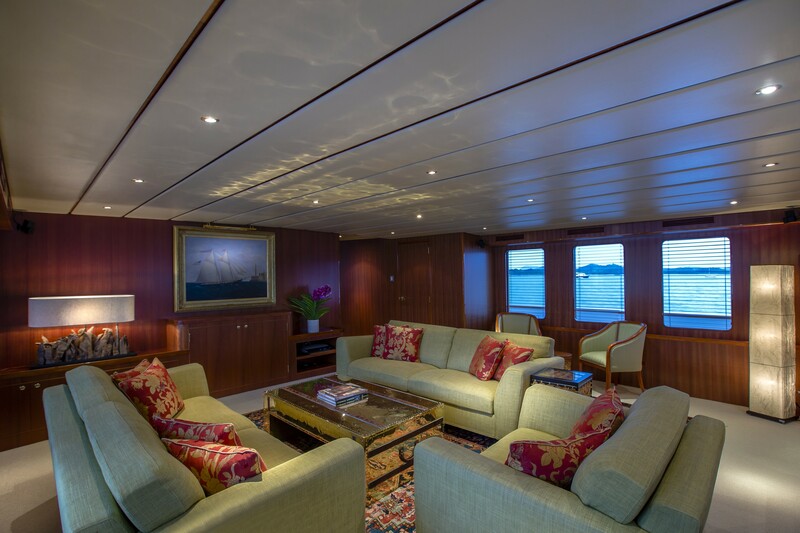 Guest may enjoy relaxing in 3 well-appointed spaces, from the games area forward to the lounge centered, to a further lounge aft. 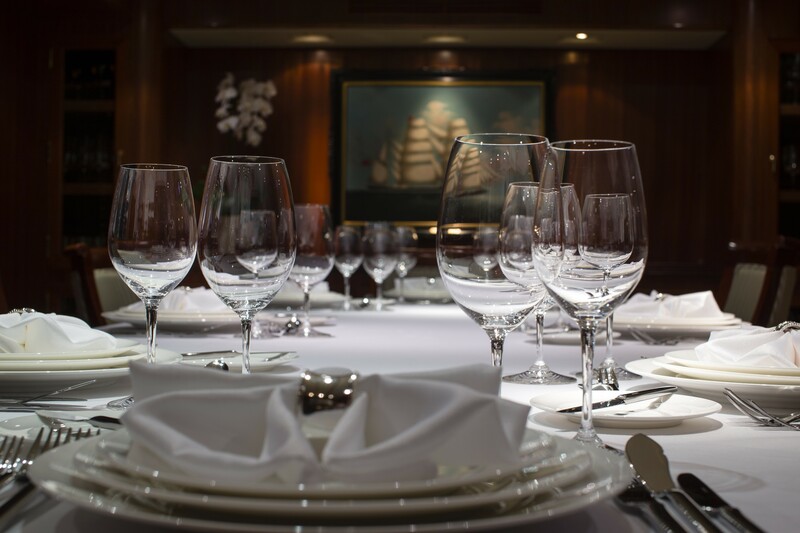 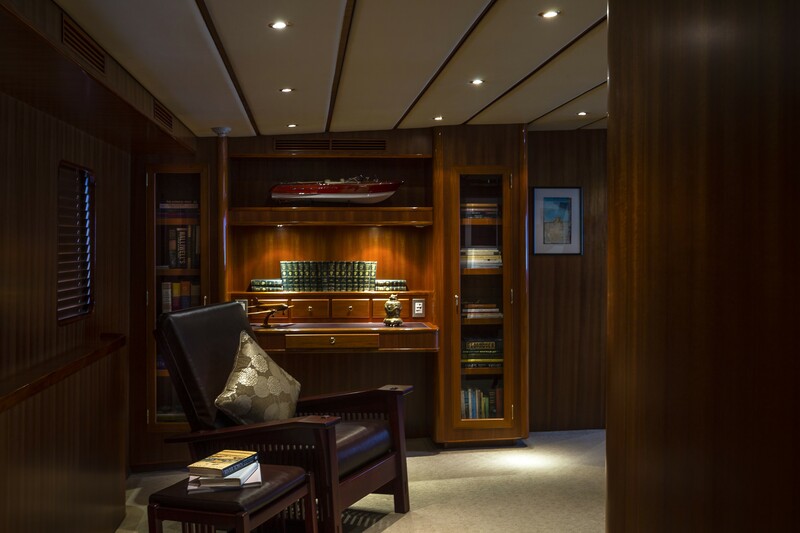 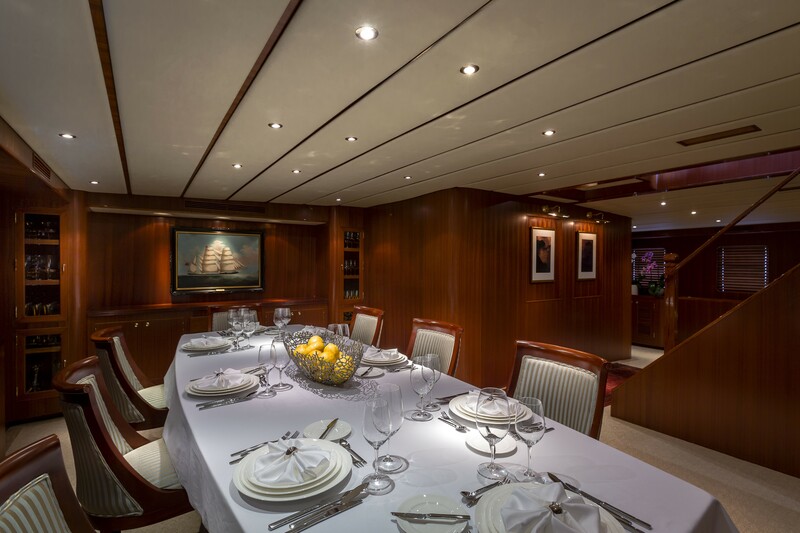 On the lower deck, a generous formal dining area seats guests in style. 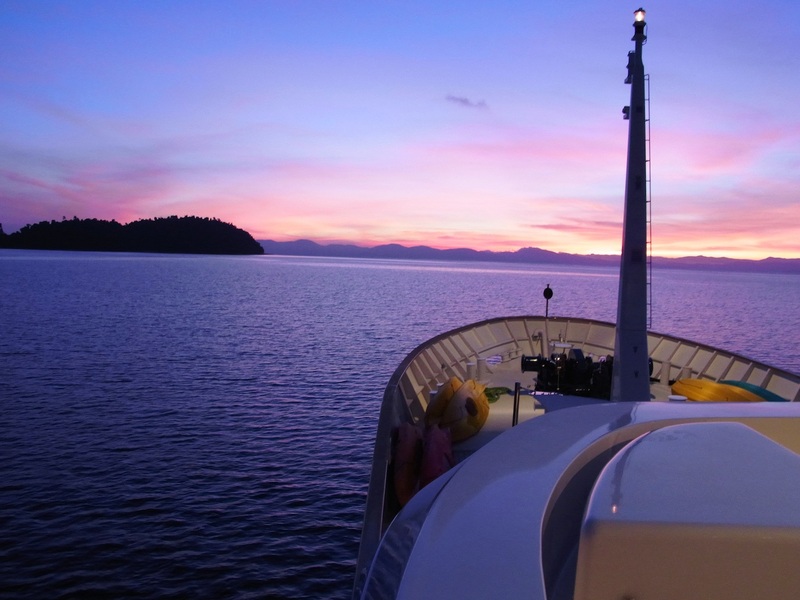 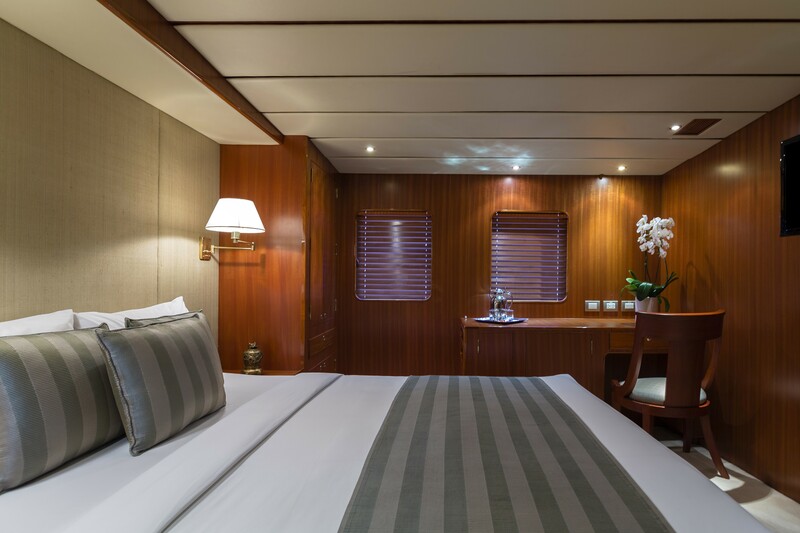 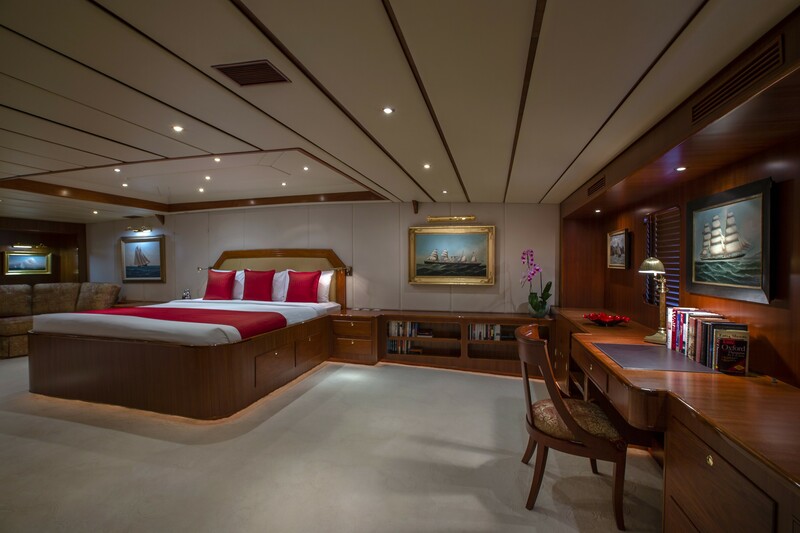 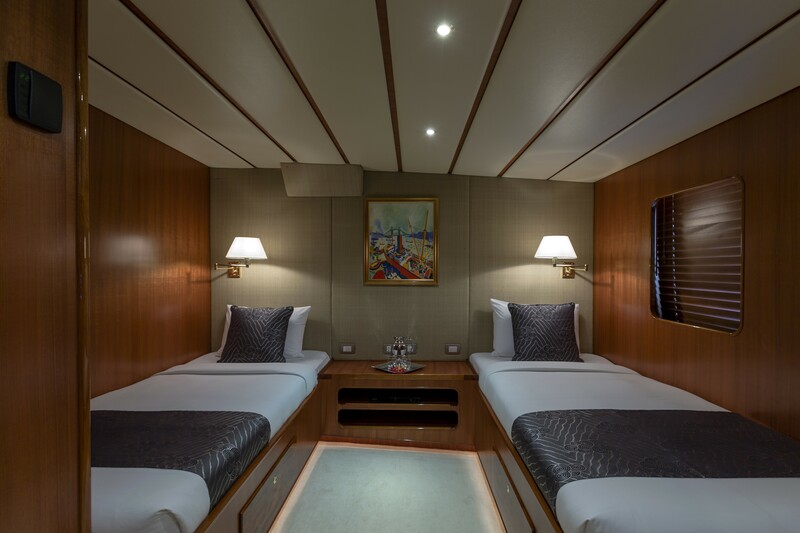 Forward of the dining area is the full beam master suite and one twin cabin, while aft and below decks are a further 4, bright and airy guest cabins. 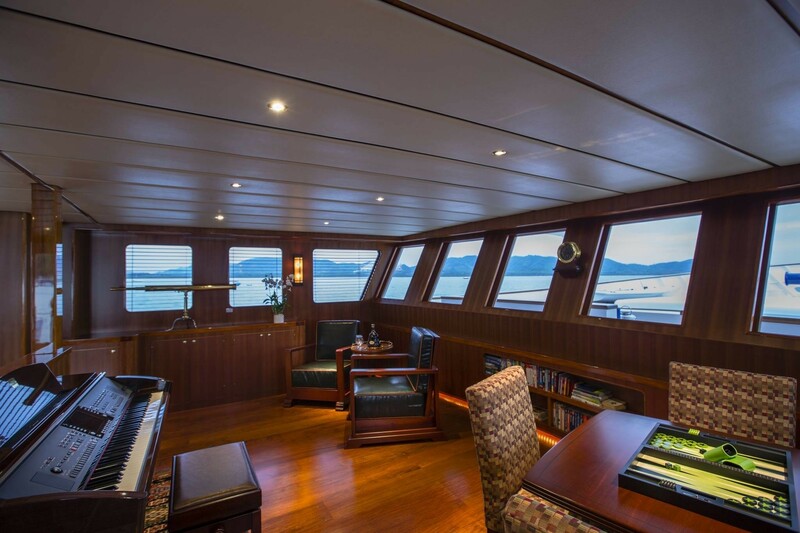 Charter yacht NORTHERN SUN offers plenty of exterior living on 3 decks. 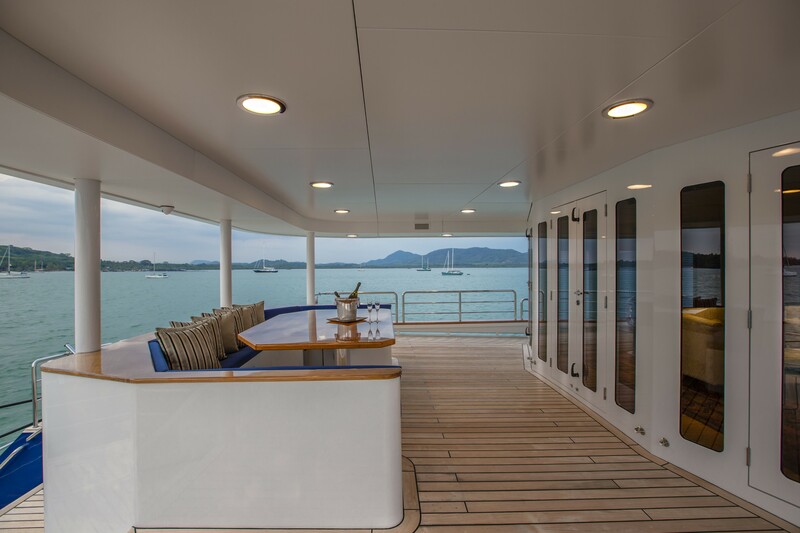 The main deck has direct access to the salon and boasts a massive partially shaded aft area, ideal for relaxing or entertaining, alfresco dining option, followed by central access steps to the extended swim platform and a fabulous assortment of water toys. 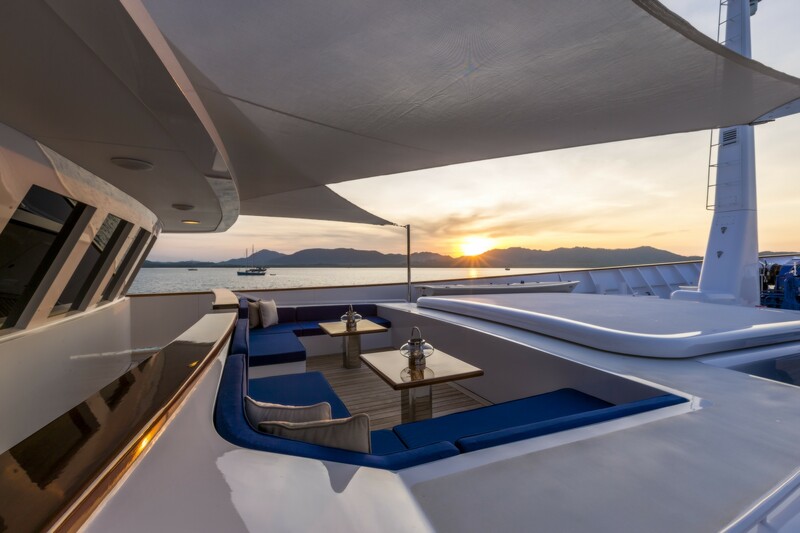 Forward, a spacious seating area is perfect for evening aperitifs. 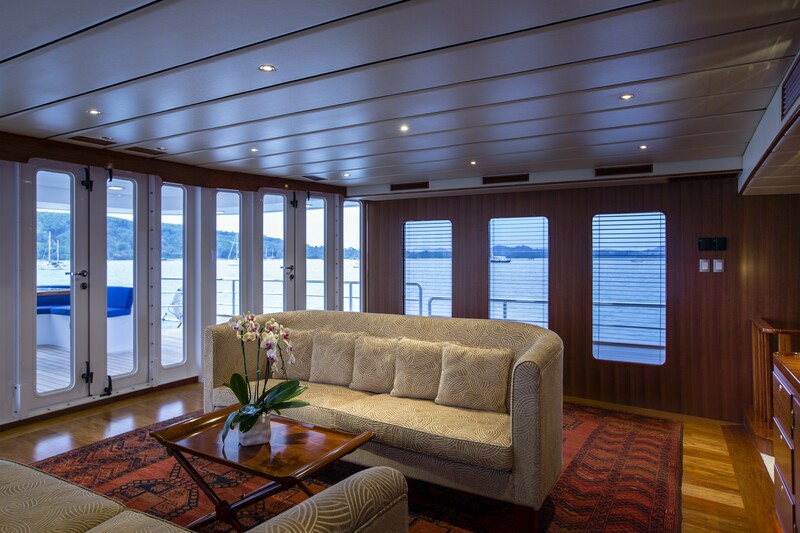 An upper deck wraps around 360° and features the pilot house and navigation area. 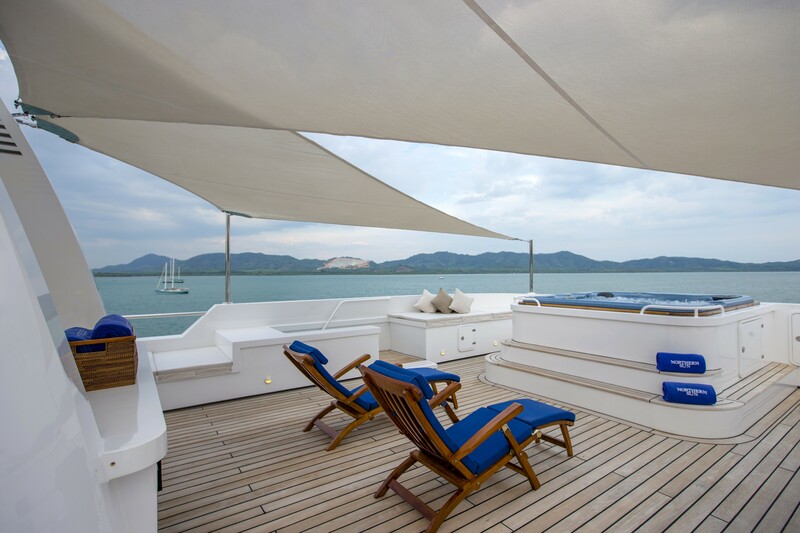 The sundeck is spacious and perfect for a casual afternoon or romantic evening, complete with seating, tables, service area and deluxe Spa Pool tub. 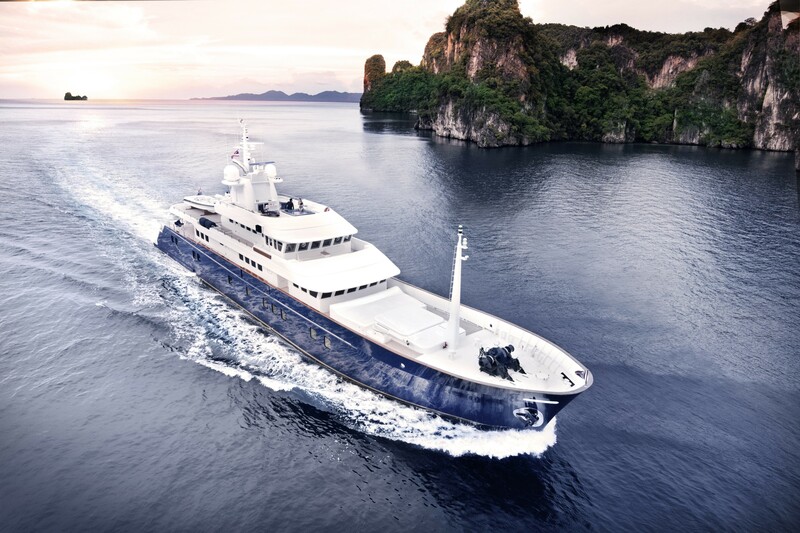 Run by twin Yanmar 6G-UT diesel engines, the 50m superyacht Northern Sun (ex Hokko Maru) reaches a maximum speed of 13 knots and a cruising speed of 10.5 knots. 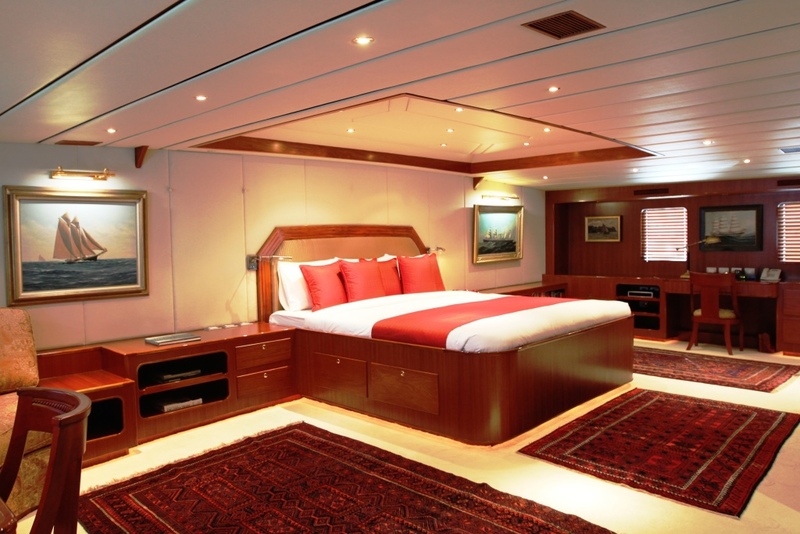 The all-steel Northern Sun boasts a beam of 9m (29´53´´) and a maximum draught of 5m (16´40´´). 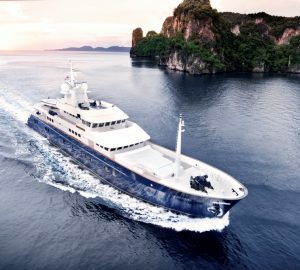 50m Narasaki superyacht Northern Sun is able to easily accommodate 12 charter guests, looked after by an impeccable crew of 11. 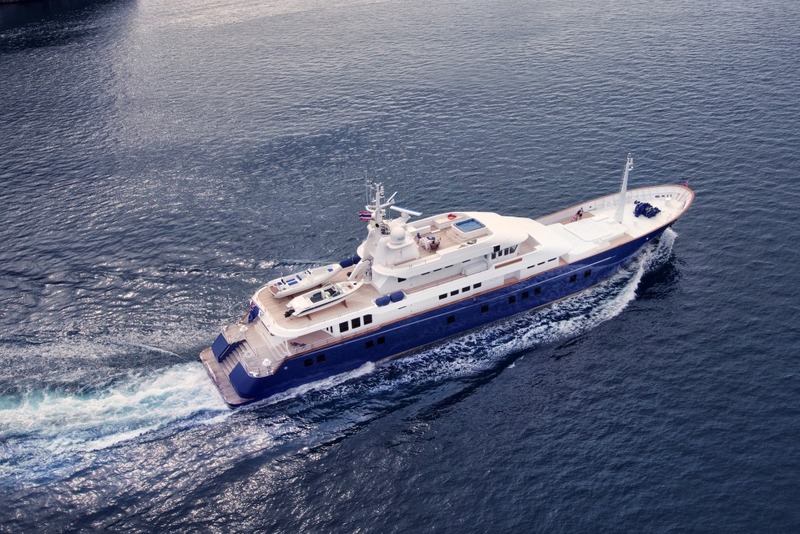 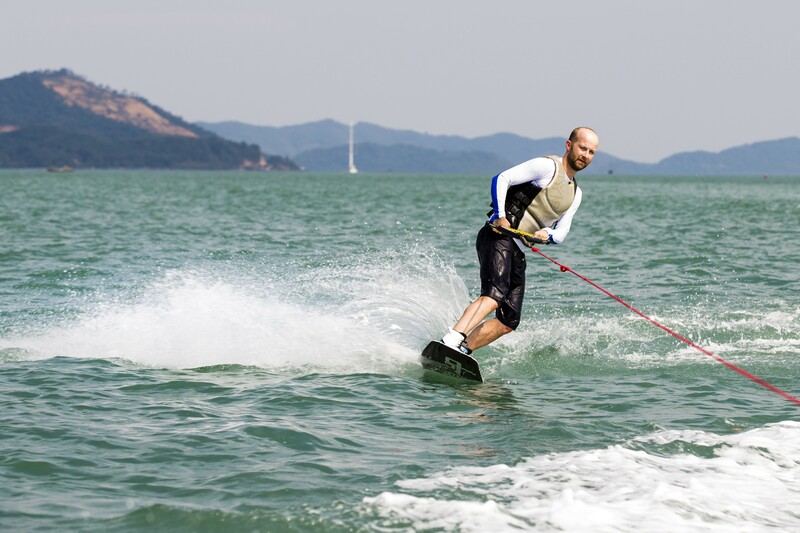 Tenders & Toys onboard the NORTHERN SUN motor yacht include 2 x sea bobs, 1 x water ski's, 2 x wake boards, 2 x inflatable donuts, 2 x Laser sailing dinghies, 6 x single and 4 x double Kayaks, 2 x rigid and 2 x inflatable paddle boards, 8 x sets diving equipment and compressor, 6 x DPV (Diver propulsion vehicle), Assorted snorkels and fins, Soon to have a 5.2m inflatable slide (from the side of the vessel), 1 x rowing machine, 1 x running machine, 1 x cycling machine.